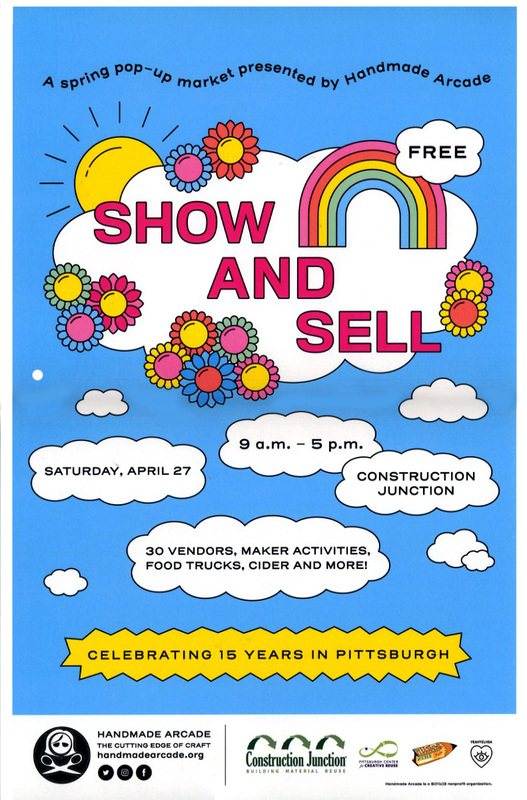 As part of its 15th anniversary as Pittsburgh’s first and largest independent craft fair, Handmade Arcade presents SHOW AND SELL: a Spring pop-up marketplace featuring 30 aspiring crafters right where it all began in 2004 from 9 a.m. to 5 p.m. on April 27. SG will not be selling at Show and Sell . However, I wanted to let everyone know about this amazing day. Very excited to be a part of helping plan this event and even more thrilled with the selection of makers and crafters that will be selling.